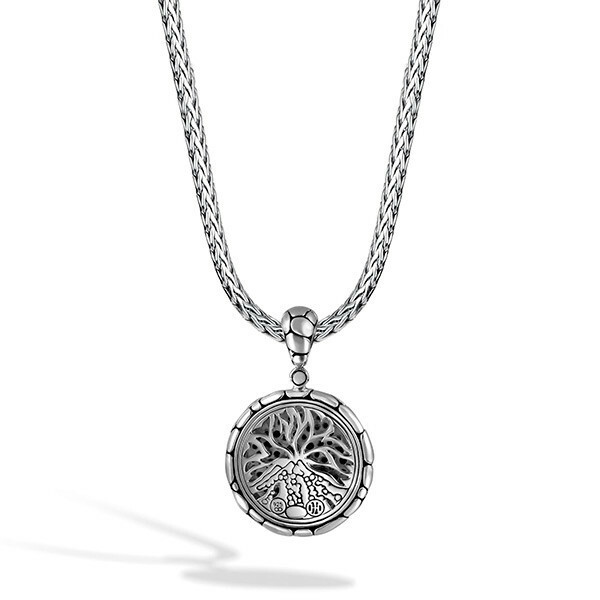 This John Hardy pendant shines brilliantly as part of the Kali collection. 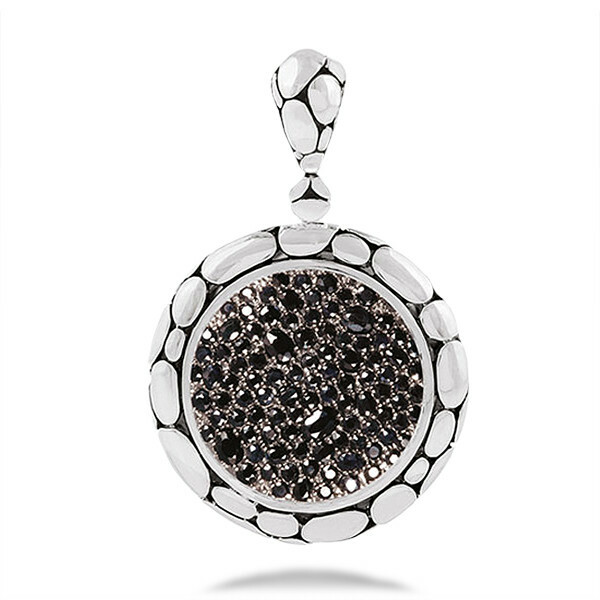 The handcrafted sterling silver pendant, showcasing the pebble motif, gently embraces an array of fabulous black sapphires. 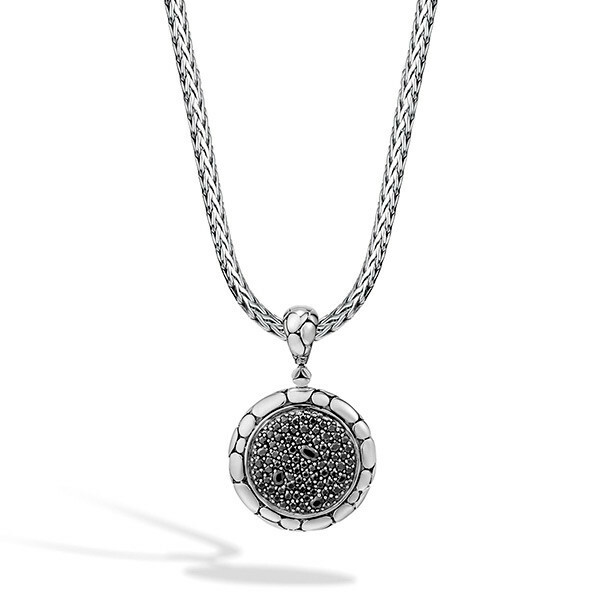 Place this dazzling pendant on a John Hardy chain from the Classic Chain collection (sold separately) for a sophisticated look!